Confession: I kinda hate jellybeans. I think they’re gross. Not only are they way too sweet (in a not good way) but they always sink to the bottom of the Easter basket and then you have to dig around for them inside of that disgusting plastic Easter grass that feels gross and smells horrible. Some kids might’ve found digging for their candy to be fun, but it just got on my nerves. And who wants to eat candy that was just floating around loose rubbing all over that yicky Easter grass? 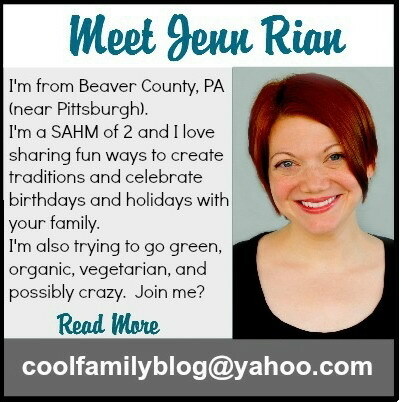 Not I, says Jenn. Not I. But, jellybeans are mandatory in Easter baskets otherwise the Easter basket police will come take me away and shove jellybeans down my throat until I agree to feed them to my children. Or maybe not. But my kids (who clearly have very poor taste in candy) love jellybeans. All that to say…hey, people, have you heard of the Magic Jellybean Prayer and Lollipop Garden? 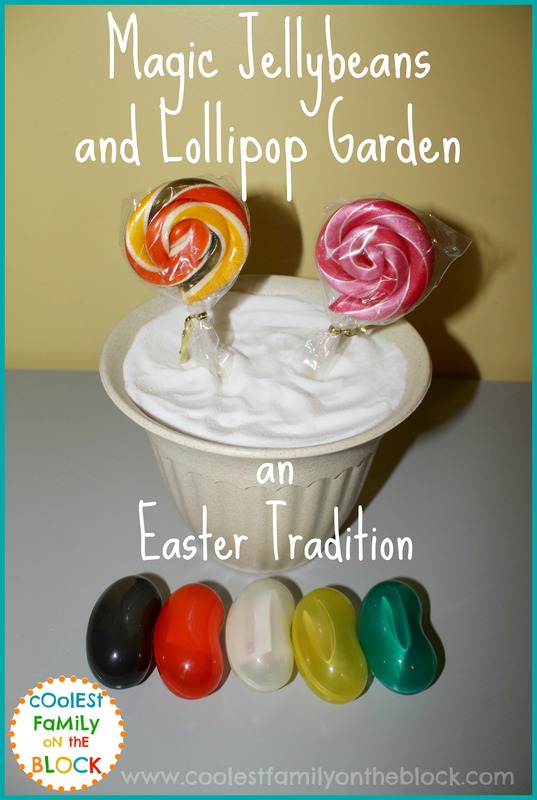 For the past few years I’ve taken a basic Easter Egg Hunt, The Jellybean Prayer, and the Magic Jellybean Lollipop Garden Easter traditions and put them all together. The first year that we tried this we were going to plant the jellybeans out in the yard but it ended up being too cold to have the kids outside for that long. Instead I grabbed a random pot of dirt at my mom’s house (because who doesn’t have a random pot of dirt sitting around) and planted the jellybeans in the pot inside the house first and then we set the pot out on the porch. If the weather is nice enough we have an Easter egg hunt in the backyard. Nothing fancy, I literally just toss eggs filled with pennies out in the yard moments before the kids come out. Mixed in with the other Easter eggs are 5 special jellybean shaped Easter eggs. When the hunt is over the children give me the jellybean eggs that they found and gather around for the Magic Jellybean Prayer. Inside each jellybean egg is a part of a poem and several jellybeans. I open the eggs in order and read the rhyme and give each child a jellybean to eat and one to plant. -Plant the jellybeans in a pot of sugar or directly in the ground. -Set the planted jellybeans in Easter Eve moonlight or Easter sunlight and wait for them to grow. -Your magic jellybeans will become a tasty lollipop garden! I found the poem I use for The Jellybean Prayer at Happy Home Fairy. There is another version of The Jellybean Prayer that is all over the internet but I’m not really fond of it because I think the rhyme is cheesy and hardly has anything to do with Easter (orange is for the edge of night…whaaa?). So, because I’m picky I really prefer the prayer shared on Happy Home Fairy. I think the rhymes and colors make more sense and it’s sweet and simple for kids to understand. (They also have Butterscotch (Cream, Gold Stripe), Pomegranate (Red, Orange, White Stripe), Lemon (Yellow, White Stripe), Root Beer (Brown, Tan, White Stripe), Cinnamon (Red, White Stripe), Orange (Orange, White Stripe), and Mint (Red, White Stripe). 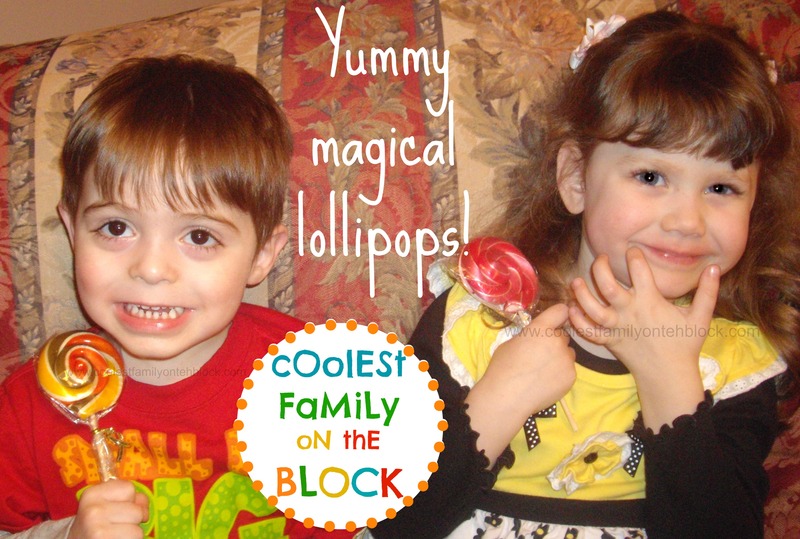 In the photo from 2012 I used YumEarth Organic Lollipops. The jellybeans that I gave the kids to eat were vegetarian Green Beans All Natural Jelly Beans and Surf Sweets Organic Jelly Beans. The jelly beans we planted were just regular ones from the dollar store and since we don’t eat them I save the bag for planting each year. I got the Dudley’s Jelly Bean Filler Eggs at Hobby Lobby years ago. Good luck finding them anywhere online, I haven’t had any luck. The kids have enjoyed planting the Magic Jellybeans for the past few years and this year Jonathan will be old enough to join in the fun with his sister and cousin. Have you ever planted a Magic Jellybean Lollipop Garden? Is the Jellybean Prayer part of your Easter traditions? Let me know in the comments! **DISCLOSURE: This post contains Amazon.com affiliate links. If you purchase something using these links I may get a small amount of money. This does not change my opinion of the products recommended, all opinions are my own. March is almost here and it’s time to start planning your holiday traditions! Here are some ideas for family traditions for March Holidays. and make Thidwick moose antlers from hand tracings! Green eggs and ham, bread butterside up, and Moose Juice! baby showers, school classrooms / preschool, and more! Links to all of my Dr. Seuss posts. St. Patrick’s Day is March 17! Leprechauns, shamrocks, clover, green, rainbows, and pots of gold! turns the toilet water green, turns the milk green, and makes a huge mess! More leprechaun trickery including green footprints, and toilet papering the house! 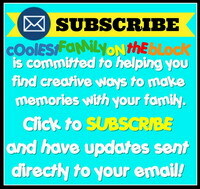 *30+ April Fools Pranks to Play on Your Kids! Elf on the Shelf, and Thing 1 and Thing 2 mischief! Easter is usually in April (like this year, 2014) but sometimes it happens in March. Click the label above to visit the “Easter” category for related posts.